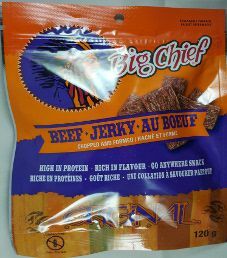 The first review on Big Chief will focus on a 4.2 ounce/120 gram bag of their original flavored chopped and formed beef jerky. 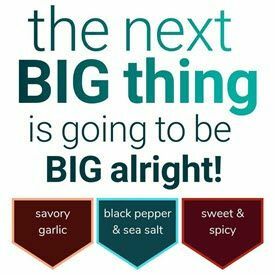 This flavor is described as using Big Chief’s signature blend of spices to create a traditional “Old West” North American jerky taste, using European sausage-making techniques. The bag was purchased at a Walmart store in Brampton, Ontario, Canada.